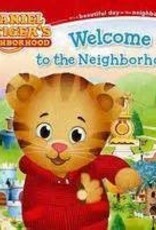 Get to know Daniel Tiger and everyone else in the Neighborhood of Make-Believe as they prepare to welcome a special guest…YOU! There is a lot of excitement in the Neighborhood of Make-Believe—a special visitor is arriving! 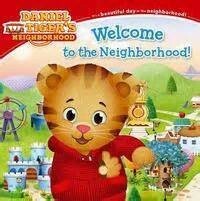 You’ll get to meet everyone in the Neighborhood while Daniel Tiger arranges a “Welcome Party.” Daniel and Prince Wednesday go to the music shop and the bakery and ride the trolley all over town to announce the special visitor. There is a welcome sign, balloons, music, and a big cake! Who is the special visitor? Why it’s YOU, of course! Welcome to the Neighborhood! © 2014 The Fred Rogers Company.